Jump Start your fat loss with Kim Lyons ‘Fat-Flush-Water’ as seen on Dr Oz! Kim Lyons made a name for herself by sharing her weight-loss wisdom on the hit TV show The Biggest Loser. Her 10-day plan is designed to melt fat and transform bodies. It worked for her and for hundreds of her clients, and it can work for you as well. She advises those who are struggling with their weight and can’t seem to get started on a diet plan to let go of the fear of failure and throw away excuses. In this video, Kim Lyons shares her simple, healthy and very effective ‘Fat-Flush-Water’ cleanse strategy. Use this as a ‘PATTERN-INTERRUPT’ to get you back on the healthy lifestyle track. 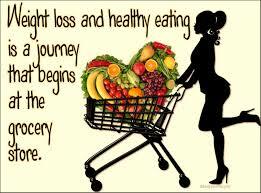 Remember, the journey to excellent health is not a sprint, it’s a marathon. Success comes from taking simple, tiny, baby steps…when you honestly acknowledge current unhealthy habits and gradually replace them by making a series of Healthy Lifestyle choices. You build new, permanent neurology through these simple, daily steps. 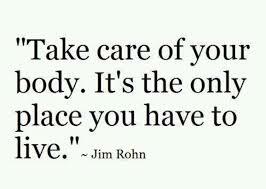 Take ACTION towards a Healthier, Sexier, Wealthier YOU! Enjoy the video and share with your network! 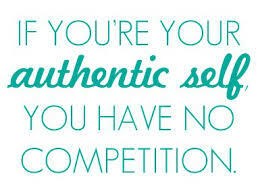 Embracing the gift of AUTHENTICITY! Authenticity: According to the Webster dictionary, it means to be ‘real or genuine; not false or copied; it is true and accurate. Faking it: The Miriam Webster online dictionary explains this as “prepare or make (something specious, deceptive, or fraudulent); without regards to facts or truths; to engage in pretence. My 13-year-old thinks this means ‘to live your life wearing a mask, doing something that’s not real and at the end, you still don’t get the full satisfaction.’ Kids are definitely smarter than we ever give them credit for! 2. Why do we have to fake it when we’re really all about being real and truthful especially if we’re selling professional services and not commodities? 3. Why can’t we just simply be ourselves? Is it not deceitful to portray yourself as what you are not? It was very interesting to hear her responses and to observe, energetically, how quickly the excellent rapport she’d built crumbled. Now I’m pretty sure the speaker really meant differently because after the webinar, I’d followed up with her and sent an email. And based on our interesting correspondence I understand now that to her it was just a seemingly harmless cliché or slogan that most coaches and business trainers had espoused and as she explained, she had used it in the context of perception and how people perceive you. That is, the idea that you have to ‘claim’ or pretend to be successful in order to be seen as successful. In other words, you have to sound, look and act successful, to be perceived as a true success story, especially in today’s world of unimaginable competition and self-promotion. My question to her was do we really have to fake it till we make it? And doesn’t the use of the phrase ‘faking it’ in the same breath as ‘authenticity’ seem out-of-place? Perhaps, one of the many reasons why entrepreneurs (in particular, professionals) struggle with translating their expertise into success, may be because they simply missed the important point that we now live in a value-based, empathy-driven economy. A lot of the old practices and ideas on how people do business have evolved. I’ve always been raised with the notion that people can smell and sense crap and B.S from a mile away. (Thanks to being blessed with a grandmother and mother-in-law who both gave it to you straight and could not stand or abide fakes). In today’s world, any hint of in-congruent messaging will cost you a sale and/or a loyal client relationship. And it is also very critical in today’s inter-connected world of real life and cyber life. Ask any high profile celebrity, CEO or business owner, who’s lost droves of fans and/or customers because they put their foot in their mouth on Twitter, Facebook, Instagram etc. The principle of authenticity is particularly necessary in professional services where no tangible products are being offered. YOU become the primary product, and the services you offer are secondary. The marketplace today is filled with discerning, knowledgeable and savvy consumers. Why not embrace who you are and share the different stages you’re on in your entrepreneurial journey. In a nutshell, I tend to believe that authenticity does not require you to ‘fake it’ in anyway. Far from it, rather, authenticity means that you allow yourself to be vulnerable and in that openness of spirit, you are empowered and can empower your clients. This level of truth allows you to connect meaningfully and at a deep level with people. 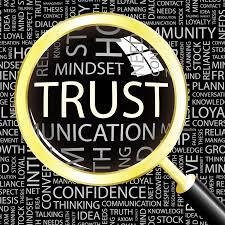 The basis of real rapport is TRUST. How then can trust exist if it is based on a pseudo lie? In the end, people tend to buy from people they both trust and like, period! Practicing the gift of authenticity at work and play will lead you to a life 0f seamless success. Why then do we have to ‘fake it? Why don’t we just simply be and bask in the knowingness that all we are is really enough and should we need to be more, we can be more by taking action. The idea that life is a struggle to impress or pretend to others that we are more than we are, pre-supposes that we believe are less. The danger with ‘faking it until you make it’, is that sometimes, people get caught up in the ‘story’ of the act and they become so intensely associated with it. They believe it and take it as real and consequently spend all their resources perfecting the ‘faking it’ act and in the process, many opportunities for true and sustainable success elude them. Everything is energy. There is a lot of energy required to ‘fake it’. And what if instead of faking it till you make it, you simply channeled all your energy and focused on actually making it so you do not have to fake it? Furthermore, you can choose to actually live it now as you work towards making it. This means that you are consciously doing symbolic gestures and taking action steps that reflect who you want to become and/or mimic the level of success you want to achieve. In this way, the individual is in a dissociated state and the unconscious mind can then distinguish what is real and what is not. The universe has a sense of humour. It will only open up and give you both what you have room for and more of what you already have. Begin to pay more attention to what you are putting out there, (consciously or unconsciously). Your thoughts, words and actions are powerful. 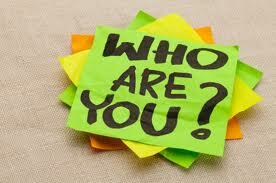 In this new year (2014), you are enjoined to embrace the sacred gift of authenticity. 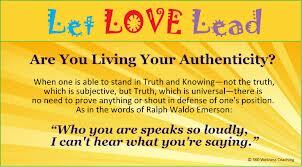 Embrace, communicate and share what is true, real and accurately reflects your core. Today, I finally took a step towards achieving one of my goals for the year: Physical Fitness (Eating Healthier foods and commiting to a fitness regime that includes at least 1hr of walking/yoga/meditation daily). I finally took a step. I cleared out my refrigerator and pantry and got rid of all the unhealthy junk and replaced them with healthier options! NEXT, I joined a Fitness and signed up for an initial 2 week consultative session with a personal physical trainer. My goal is to be fitter and healthier by taking small, consistent and persistent action steps. This includes losing 50 lbs of excess body weight, adopting a healthy lifestyle diet change, achieving a healthy belly fat index for my age and height and becoming more active. I have committed to a 5-day regime that includes cardio, weight training…the whole works! This journey may present certain challenges, because for it to have a successful outcome, I must unlearn years of bad eating and living habits and most importantly replace them with a healthy, holistic lifestyle. I hope to chronicle my journey on a monthly basis and share my challenges and moments of victory , strategies and tips (This will be shared on our private Facebook forum). 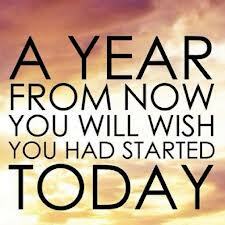 So join the WWN team on this ‘Healthy Lifestyle’ journey and let’s have a blast!! Join the conversation on our Facebook Page. P.S: Are you up for a 10-Day Organic cleanse? Take the challenge with David Sandoval’s Celebrity Healthy Cleanse. It is celebrated as the fastest, healthiest, simplest and least expensive weight management solution on the planet! Click Here to Register and Order Today. My Prayers For You in the New Year! My prayers for you this year: Make this be the year you take personal RESPONSIBILITY for BOTH your awesomeness and your crap! (What is your ability to RESPOND to whatever life throws at you?) If it’s showing up in your physical universe, you created it, (consciously or Unconsciously). You are a CO-CREATOR with God, OWN it! Make 2014 your year of boldness and courage. Become more RESILIENT, you’re made of stronger and sterner stuff! Stop blaming, justifying, excusing the sh*t in your life by pointing fingers outwards. Everything is possible, period! Enter the co-creative zone and ask yourself: How can it be done? Who and what are the resources I have? Reach out and form synergies with others. Stop judging, and start accepting and empathizing. It’s life, we’re all basically going through the same challenges, they just show up in different colours. Stop playing the compare and contrast game. 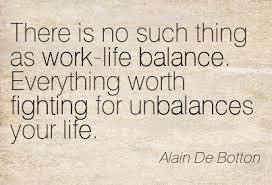 That is the basis of ALL unhappiness. Your name is not ‘EVERYBODY’. You are a unique BEING, with unique values and beliefs. You are a beloved child of a loving God, live it! You have the power of choice, exercise it and be accountable for your actions and (in)actions! Nobody’s doing anything to you that you did not first do to yourself. Build a bullet-proof, rock solid relationship with your CREATOR. Get out of the prison of the generation that accepts: “My PASTOR SAID”, “MY ENEMIES ARE AFTER ME”, “I HAVE SUFFERED”, “THE LEADERS ARE TO BLAME”,…Become more involved in your own life. Pleeease, a KING died for YOU! Not a hair on your head can be touched without his express permission. Why choose to be part of a generation that craves entitlement without responsibility? Take ownership of your life, it’s yours after all! Stop perpetuating the myth of old, healed pains of the past as if they were still real. Tell yourself EMPOWERING stories and move on. Yes, decide to move on. Let TIME do what it does best: heal. Ask yourself who benefits when you refuse to own your magnificence? Who does it serve when you choose to stay stuck and refuse to be yourself? What are you permitting and settling for as ‘truth’ in your life? What are you accepting into your life? You get to DECIDE! Be kind and gentle, yet have healthy boundaries. Claim Wisdom as a best friend. Surrender to her, she’ll guide you well. Embrace the gift of eloquent SILENCE. It is the zone of beautiful creativity and growth! Know yourself! You are always changing and growing and evolving. Re-introduce your new self to you and others around. Fall deeply, passionately, totally in love with you! Until you really know, accept, forgive and love yourself, no one else can! Understand and embrace your passions, pains, weaknesses and strength. The mystery to love is that it is complete in itself. It exists, even without an object of affection. Know this kind of love in your lifetime, it’s already yours. We are drawn to others not only because of shared passions but also because of our unhealed pains. If you are in someone’s life or vice versa, then there’s a unique purpose and reason why. No one’s role is to complete you, stop setting people up for a fall! We are all here to heal, create, share, love and bear witness to one another, of HIS amazing grace. Know when to hold on and fight for love, also know when to let go and set love free. Celebrate finding love and celebrate also getting your heart-broken. For a heart that loves is a heart that is full and a heart that is broken, is a heart that is open, ready, willing and strong enough to love fully and completely. Move over from the ‘woe me’ quadrant, into the ‘WOW ME’ zone. Fill your cup so that you can better serve others around you. It is SELFISH to keep playing the role of ‘VICTIM’ when you know deep down that you’ve been made VICTORIOUS by God’s abiding grace. 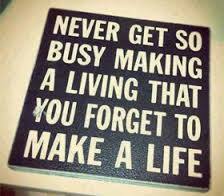 And make every moment of your time in life, (even on social media), well worth it. If you’re not growing, you’re dying. Choose LIFE, and live passionately, purposefully and powerfully. DECIDE and Choose to have a wonderful New Year! The Year of Awesome Possibilities. A Happy and Blessed New Year to YOU! From all of us at Whole Woman Network, we wish you a new year filled with awesome possibilities and opportunities. This new year, you may face challenges, strife, loss, and pain. You may also fall, stumble, make mistakes, and be faced with some difficult choices. This is simply life happening! Don’t sweat it. The difference is that this year, you will be wiser, stronger and healthier to face life, fully engage in/with it and live the best version of your life. One beautiful day at a time! You shall RISE above the storms. You will triumph over your obstacles. With boldness and courage, you will take ACTION towards a Healthier, Sexier, Wealthier YOU! In this new year, you will dare to see yourself in a brand, new beautiful light. We wish everyone of you 365 days of profound growth , inexplicable peace, immeasurable joy, deeply layered transformation and sustainable success in your life, career, business and community. It’s a brand new dawn! This year, may you #BeMore! Whatever ‘more’ means to you. (Apologies to a great coach and mentor, Sandi Krakowski).